An unassuming place inside an exclusive gated community of Bel-air, Makati is a house on Amapola street, fronting Rockwell Center and Powerplant Mall, is home to former streetchildren now under the care of Bahay Maria orphanage. This is Tutubi's second visit to the charitable institution and the third orphanage for his annual gift-giving "Orphanage Tour" before a heavy (so-so) lunch at C2 Classic Cuisine at Powerplant Mall. 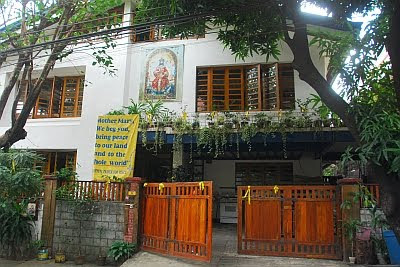 Bahay Maria (not Bahay ni Maria) is a nice home for former homeless girls turned into an orphanage. 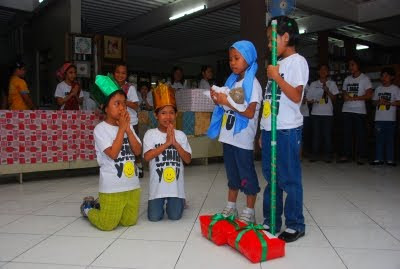 Tutubi and his "tour-mates" were treated to song and dance numbers by the children and their own depiction of the nativity. This "orphanage tour" is really a nice thing to do even at least once a year to share to underprivileged people even small things. Christmas is not just about gifts to your family, friends and loved ones but it's much more meaningful once shared with strangers and people in need. for directions from Ayala Avenue, head towards Makati Avenue going to Mandaluyong and turn right on Kalayaan Avenue until you see the gate of Bel-Air fronting Powerplant Mall. Bahay Maria is just along Amapola St, the street immediately after the guard house of the subdivision entrance. Wishing you and your family a blessed Christmas Tutubi. A blessed Christmas season to you and your lovely wife and your precious tutubing karayom. May the New Year bring you peace and prosperity. I also used to volunteer for charitable works during Christmas season. I stopped a few years now due to work-related time constraint. I supposed to join the fourth Annual Firefly Brigade Christmas Gift-giving Ride last December 19. Unfortunately, my wife and I flew to the province for a vacation and schedule ng balik namin eh 20th. Hi tutubi, I came across your blog because I want to know more about Bahay maria. Would you know how many children are there now? I also would appreciate if I can get their contact digits or better yet email. I'd like to share a little this year. Your blog is a nice read. thanks for taking time to write 'em. Hi, I want to know if I can join as a volunteer in your house like teaching maths to them. im Roselyn R. Aparejado from makati also. 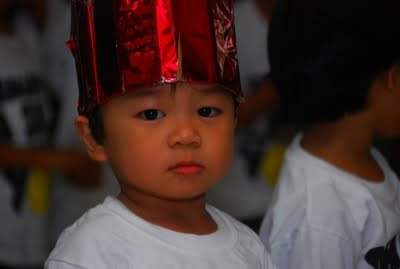 -im planning to visit your orphanage by next yr.
my sister will give me 80,000pesos for my debut and i want to use it by helping other people.so i've decided to have a simple celebration in your orphange with all kids there and give them some gifts.do u allow this kind of plan?thank you.and Godbless! This really eye opening post for me. Sharing our love and affection with orphans is really heart touching, I would like to visit the orphanage tour. Do you happen to have an email address for your contact there? Thanks for this lovely post! i just visited the place together with my officemates and i saw the missing magi. we immediately clicked and he became my son for a few hours. and yes, he does have a big resemblance to my real son, who is a almost a year and a half-old. the eyes, the hair, the smile and the bubbly personality. - Eugene M.